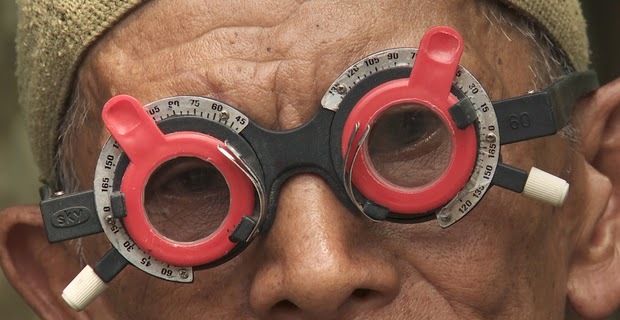 Joshua Oppenheimer is a documentarian of rare patience, empathy and wisdom. He has spent much of the past fifteen years exploring and documenting the aftermath of the military coup in Indonesia in the mid 1960s that resulted in a totalitarian regime coming to power and remaining the source of power to this day. In the months immediately following the coup the military encouraged the ordinary people of Indonesia to create mobs and summarily execute actual and alleged Communists. The numbers are staggering. Hundreds of thousands of people were murdered. And what amazes me, as someone who thinks of herself as fairly well read, is that these events are virtually undiscussed in the West as well as in Indonesia. Those killers returned back to live in their communities alongside the families of their victims. One might wonder how this situation didn’t explode in recrimination and violence but is it any wonder given the combination of a repressive government, an almost pathological desire to forget, and a highly selective narrative taught in schools. And then, into this situation steps Joshua Oppenheimer, and with his films he has forced not just the world to acknowledge this horror, but the people he comes across too. The result - two remarkable, tough, and at times surreal films - THE ACT OF KILLING and THE LOOK OF SILENCE. Both were filmed as part of a single project but the results are very different. THE ACT OF KILLING, released in 2012, interviewed men who had killed their neighbours and looked on in horror as they boastfully re-enacted those crimes. The boastfulness was provocative. Is this how all murderers would act if their regime were still in power? Or did it actually represent the fashioning of a narrative of normalcy to describe guilt and fear? Either way, the resulting film was one of the toughest watches of that year and remains a masterpiece. This is what documentary film-making does best opening up a previously hidden narrative and rather than giving us the answers, forcing us to deal with painful questions. THE LOOK OF SILENCE is a quieter, less surreal documentary but in some ways it’s a tougher watch and desperately moving. We focus on the victims this time, with a 44 year old optometrist called Adi still dealing with the murder of his brother Ramli. He fears for his adorable children, taught that the victims were evil Communists and tarnished by association decades later. He fears for his father, going senile with old age, who will never have the closure he needs. His mother is a beacon of honesty in a country seemingly self-condemnded to untruth. She knows that when her son, stabbed and gutted, crawled back to her house, and the local thugs came to “take him to hospital” what really happened. And while nervous for Adi, she wants the truth. This simple bravery is startling when set in contrast with most people who just want Adi to shut up and let it go - not least his Uncle who was himself a Guard. Adi attended the screening at Sheffield and says he is not particularly brave. But I think he is the bravest person I have ever seen. His insistent, unrelenting, quiet questioning gives this movie its heart and finally a sadness beyond anything in THE ACT OF KILLING. One wonders if Adi feels some kind of peace from having confronted the very men who killed his brother. They seem to have constructed such walls of boastfulness around themselves that it really is shocking to see them rattled. But maybe peace isn’t finally the point. Maybe we should feel angry and unsettled? THE LOOK OF SILENCE has a running time of 103 minutes and is rated PG-13. The film played Venice, Telluride & Toronto 2014 and was released last year in Italy and Denmark. It was released earlier this year in the Netherlands and Slovenia. It is playing Sheffield Doc/Fest and will open in the UK and Portugal on June 11th and in the USA on July 17th.